Nebraska sedge populations are common in most American states west of the Mississippi (5). Nebraska sedge is found at low to mid elevations throughout the mid-west and the arid and semi-arid American west (1). This sedge species is a common dominant in disturbed riparian areas, less commonly forming dense communities in healthy areas. It is can be especially dominant in grazed areas because it resists grazing and trampling damage (3). Nebraska sedge is typically found in wet meadows, on the active floodplains of streams, and along the edges of lakes and reservoirs (1,3). Nebraska sedge tends to occur as a seral to climax species (3). Due to its wide range, species associated with Nebraska sedge include a wide variety of riparian species. Those described for central Oregon, as an example, include willow species such Geyer’s willow and Lemmon willow, Baltic rush, and a wide variety of other sedge species (3). Nebraska sedge often forms dense communities and prevents other species from dominating. Nebraska sedge naturally reproduces by rhizome or seed, although seed germination is low except on freshly deposited and moist sediments. It may be collected as seed, divisions, or wild transplant. There are generally 2.7 million perigyna/kg (2). Collect the seed from August through October. Seed set may be variable, so verify how much collection is necessary before beginning to harvest (1,2). Seed may be collected by hand or by clipping off the seed heads. A power harvester can also be used for large-scale harvests of dense communities. Seed should be cleaned using a seed cleaner with a No.8 top screen and a No.20 bottom screen. The screens should be sized so the seed will fall through. Perigynia should be removed using a seed scarifier or sandpaper box, then separated from the seed using screens (2). Germination rate is improved by removing the perigynia and pre-chilling the seeds in wet sphagnum moss at 2°C for 30 days. When germinating seed in a greenhouse, place seeds on the soil surface and lightly press to ensure good contact with the soil. The seed should not be covered and soil should be kept muddy. The greenhouse should be kept hot (32-38°C). Ideally, germination should begin in roughly a week (2). No seed life or storage information was available. Nebraska sedge possesses a thick and spreading rhizome and root system (1,2). It is an aggressive rhizomatous spreader. Due to its sporadic seed set and germination, vegetative propagation may be the surest method. Nebraska sedge prefers wet sediments and does not seem to require high levels of organic matter (2). Planting plugs is the most effective way to establish a stand of Nebraska sedge (2). If planted 30-45 cm apart, plugs will fill in the area within one growing season (2). During propagation and after installation the soil should be kept saturated, with the water rarely dropping below the root zone. No more than 2.5-5.1 cm of standing water should be present, however. The species can tolerate both periods of drought and complete inundation once established (2). Nebraska sedge is rather fast growing. Stems can reach a height of up to 90 cm (2). (1) Hurd,E.G. et al (1994). Cyperaceae and juncaceae--selected low-elevation species. Gen-tech-rep-INT. Odgen, Utah : United States Department of Agriculture, Forest Service, Intermountain Forest and Range Experiment Station. 380-383. (2) Interagency Riparian/Wetland Project. Wetland Plant Fact Sheet: Nebraska sedge. U.S. Department of Agriculture and Natural Resource Conservation Service. Aberdeen, Idaho. (3) Kovalchik, B.L. (1987). Riparian zone associations: Deschutes, Ochoco, Fremont, and Winema National Forests. R6-ECOL-TP. United States Department of Agriculture, Forest Service, Pacific Northwest Region. (4) Ratliff, R.D. (1983). 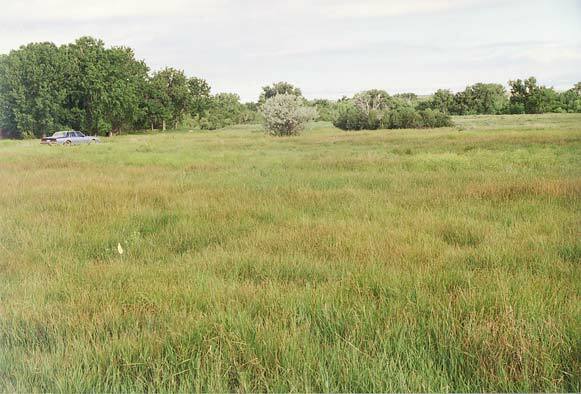 Nebraska sedge (Carex nebraskensis Dewey): observations on shoot life history and management. Journal of Range Management, 36 (4), 429-430. (5) United States Department of Agriculture. Nebraska sedge. Plants database. http://plants.usda.gov. Retrieved April 29, 2003.